After a complete redesign for 2008, which edged the rugged wagon toward more luxurious terrain, 2009 looks fairly calm for the Subaru Outback. The only changes to the model’s lineup come in the form of slight feature modifications and trim rearrangements. The Premium is now the Special Edition, and the L.L. Bean model has now been replaced by the Limited. Fans of the Boat and Tote shed a silent tear. Everything else, however, remains just so. The SUV-like wagon sports a killer all-wheel drive system that is standard on all models, and power output ranges from the modest 170 horsepower 2.5i to the overwhelming 245 horsepower 3.0R Limited. All have impressive acceleration and overall performance, so you can hardly go wrong in your choice of trim. Interior design, carried over from the 2008 model, is as refined as the exterior styling has now become. In an era of shunned SUVs, the Outback slides into the void between car and full-size people carriers brilliantly. Standard all-wheel drive gives the Outback an edge over the front-wheel drive competition and saves you money in options. The luxury-laden Limited trims provide even more standard features for the discerning driver. Every available engine has enough get-up-and-go to fill a driver’s daily needs. Instrument panel styling didn’t quite make it to the 21st Century. Also, an odd coating over it makes some of the buttons difficult to see in direct sunlight. Because of the way the rear windows are cut, the door opening to the rear seats is on the small side. The Outback has carved itself a comfortable space between off-road ruggedness and alert city performance. The 3.0R’s V-6 tugs the car along without much effort; its horses barely grunt under the strain of its 3,600 pounds. However, it takes revving the car to 3,500-4,000 rpm to really wind it up enough to elicit passing power. It pains us that they’re still putting a four-speed automatic in the base model; competitors have all moved to at least five-speeds, some six. Alas, the powerful 3.0R suffers with a five-speed that, to us, on occasion, shifts too quickly, squandering power when you need it most. The direct steering is weighted well and handling is expectedly solid. Wind noise isn’t terrible, but you can tell that tightening all the window seams to Teutonic levels wasn’t a top priority for Subaru. With the sunroof cover open while the actual glass sunroof remains closed, sound becomes a big issue. While we admire its dedication to versatility, the Outback’s stiff suspension smacks of SUV, leaving your teeth chattering over rough city roads and making a moot point of the loud wind noise. The 2.5i models feature a four-cylinder horizontally opposed “Boxerâ€ engine that produces 170 horsepower and 170 lb-ft of torque. These are available with a five-speed manual or four-speed automatic transmission. The 2.5XT takes the same engine and turbocharges it, giving the driver a plentiful 243 horsepower and 241 lb-ft of torque. To help manage the power more competently, the four-speed auto has been upgraded to a five-speed. And for the top of the line 3.0R Limited, we get a six-cylinder Boxer engine that delivers 245 horsepower and 215 lb-ft of torque. This is mated to a five-speed automatic. As we mentioned before, the engine powers all four wheels on every trim. 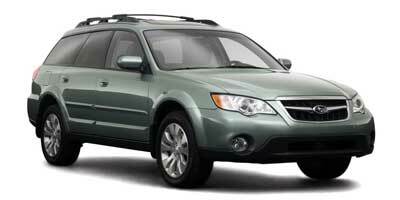 The Outback also has a towing capacity of 3,000 pounds. From the company that brings us the Impreza WRX STI, favorite of rally enthusiasts everywhere, we’d expect some pretty amazing features to have trickled down the line. All models are benefitted by Subaru’s Vehicle Dynamics Control (VDC), a stability system that brakes the wheels or reduces engine power when necessary to help regain any loss of control on the road. This works in conjunction with the standard all-wheel drive, a system that sends power to all the wheels simultaneously to give you some reassurance while driving in treacherous conditions. This wagon has come a long way in terms of standard offerings. While many manufacturers make you pay more for stellar sound systems, Outback drivers get one standard on every model except the budget-conscious base 2.5i. 2009 is the first year to introduce Subaru’s new 440-watt sound system, guaranteed to shake the car with its subwoofer. The numbers naturally differ among the trims, but all receive adequate fuel economy considering the weight of the car and the powerful engine types. The strongest, the 3.0R Limited, returns 17 mpg city and 24 mpg highway. The 2.5XT receives slightly better city mileage with 18/24 in both manual and automatic transmissions. The least powerful engine is the most eco-friendly, maintaining 19 mpg city, 26 highway with the manual and gaining an extra mpg in the city with the automatic. Well-bolstered seats are covered in either cloth or leather and even the base model gets a tilting and telescoping steering wheel. One thing the Outback does incredibly well is space allocation. Each seat has plenty of stretch out room and even with five people in the car, you’ll get 33.5 cubic feet of cargo space – a number that doubles with the seats folded down. Immediately the exterior looks more refined than the previous generation. The bulky plastic skirting has been cast aside for a streamlined feel. All Outbacks come with roof racks and 16- or 17-inch wheels. Starting with the 2.5i Limited trim a panoramic dual panel moonroof comes standard as well. The Subaru Outback starts off at $22,295 for the 2.5i and $23,895 for the 2.5i Special Edition. The three Limited trims hit your wallet at $28,295 for the 2.5i Limited, $31,595 for the 2.5XT Limited and $32,095 for the 3.0R Limited. Competitors include the Volvo V50 - $29,800, Audi A3 Sportback - $26,920, Mazda 3 5-Door - $18,995 and Volkswagen Passat Wagon - $25,200. This wagon blends in to either the outback or back alleys of a city. Wherever you’re heading, this Subaru has its bases covered with a huge amount of cargo space and capable all-wheel drive. Because of its versatility, drive quality can be compromised, and some trim levels may sit a little too comfortably above the $30,000 mark. But for all the added extras, we think it may be worth the cash.